And we got a pool! Shawn and Dad are crouching so it looks bigger, but no joke, we have floaties with drink holders, and a cooler that also floats, so basically, everything we need to make life stop sucking in the summertime. 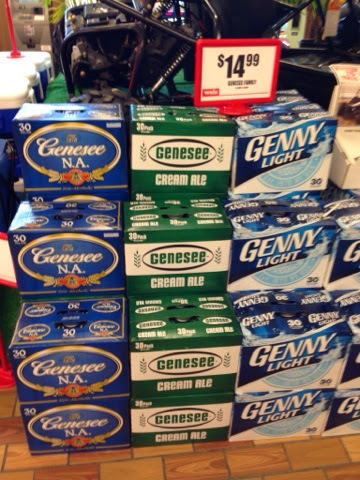 Oh, and also of note, my local supermarket is carrying Genny Cream Ale in 30 packs. So, um, if your grandad is thirsty from the summer sun, have at it. Whatever floats your boat, you know? 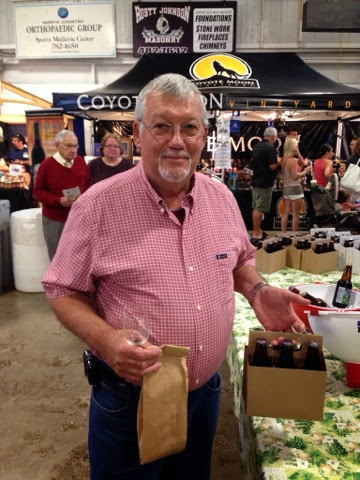 Mom, Dad, and I hit up The Great NYS Food and Wine Festival up in Clayton a few weeks ago, and I enjoyed re-tasting some excellent, crisp, clean whites from Fulkerson Winery, on Seneca Lake, as well as some glorious, creamy, smooth, full-bodied root beer from Otter Creek Soda. 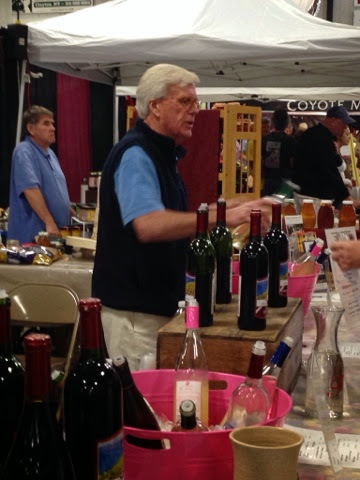 It was good fun, though I wished there were a few more food vendors among the plethora of wineries. Also a couple weeks ago, Melinda and I shared a terrific dinner at P.S. Restaurant, our old favorite in Vestal. Except this time, we tried all new (to us) stuff, and it was pretty epic. 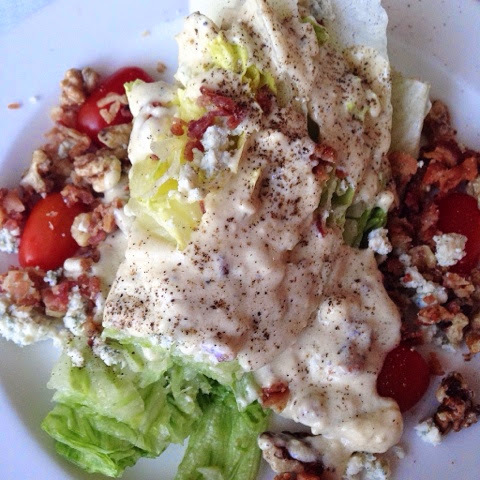 For instance, I've found my new favorite wedge salad. Yeah, I know, iceberg is for chumps. Except, hush your mouth, because I love its cool, benign crunch, and the steady, substantial base it creates for piquant blue cheese, salty, fatty bacon, and bright tomatoes. At P.S., Chef Rick Dodd adds toasted walnuts for even more body and richness, and the blue cheese dressing is deeply cheesy and flavorful. You have to try this thing! 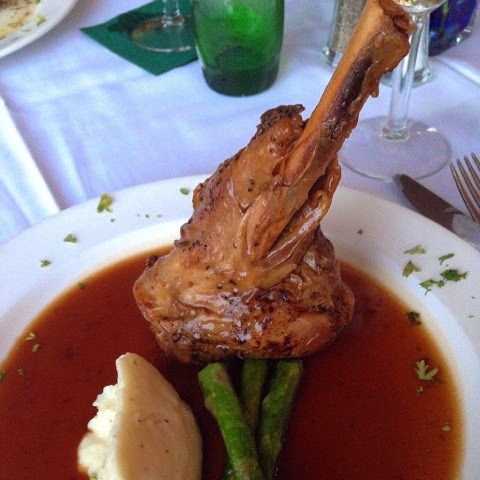 The braised lamb shank is no slouch, either. You guys know I can't resist food with a gigantic caveman bone sticking out of it, and this lamb was perfectly braised into melting, meaty goodness with just the slightest hint of that gamey funk and the decadent umami of roasted beast. I've read reviews of P.S. that claim it's expensive for what you get and so forth, and I admit, I've know Rick, and his wife Silvana, for many years, so it could be that I'm getting above average service there, but I find it such a welcome respite, a refuge, really, from the hustle and bustle. 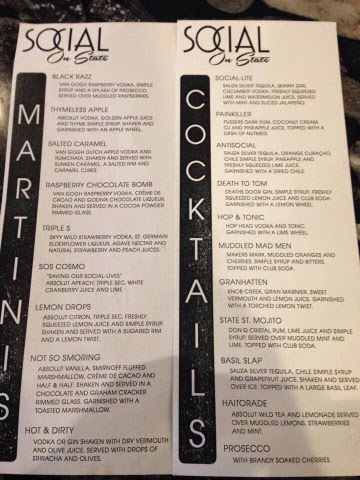 And Rick has some yummy, special gems on his menu that you just can't get anywhere else in the Southern Tier. If you've written it off as stuffy and too high end, I recommend you give it another taste. I hope the food is as creative as the booze! That Antisocial has my name on it, and it will be mine soon. 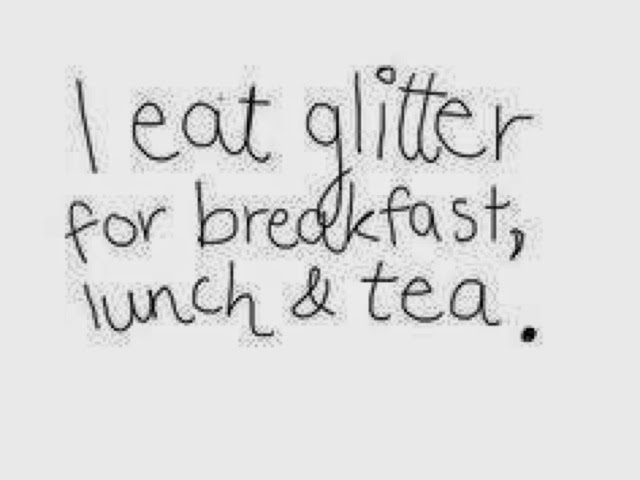 A little more glitter and a little less bacon would probably do his body good. Ahem. Anyway, I hope you're having loads of fun in the sun this month, and let's meet back here next week and talk more good eats, K? My personality is big; my hunger is bigger! We have visited Coyote Moon a few times and found them not quite ready for prime time. What is your take? Agreed, Michael. I'm eh on the wine, and a general, good-time thumbs up on the wine slushies. You know you want some Genny Cream! I'll send you a pack.